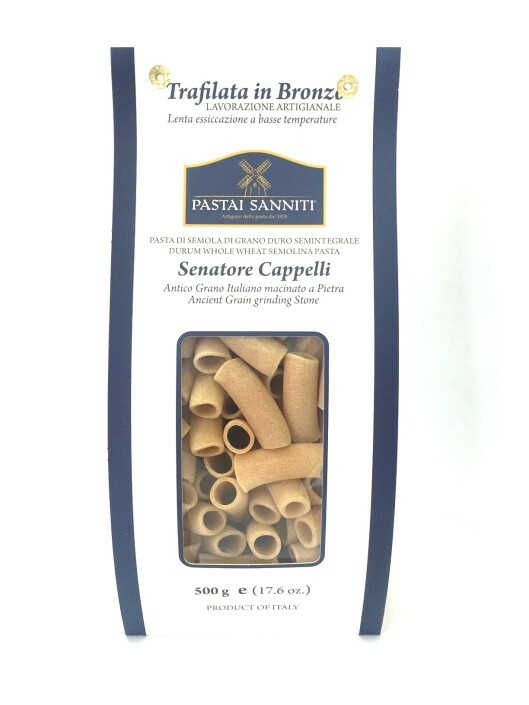 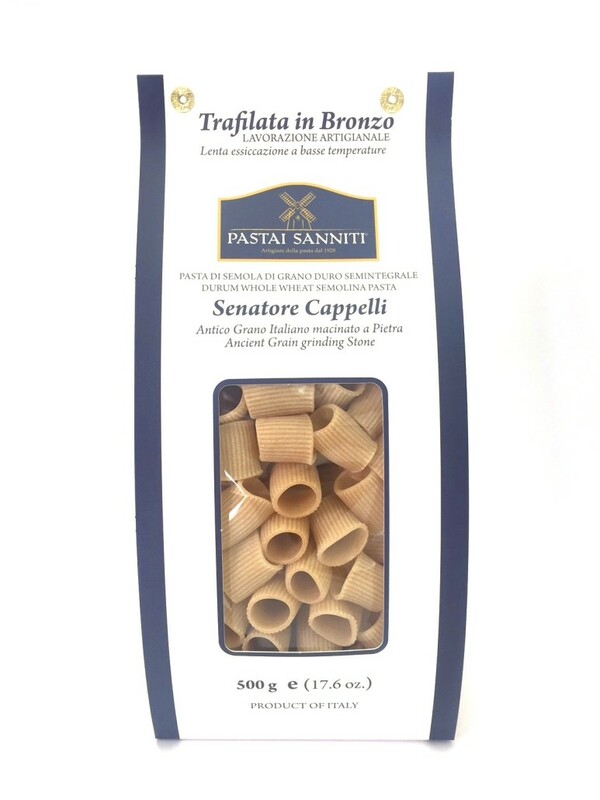 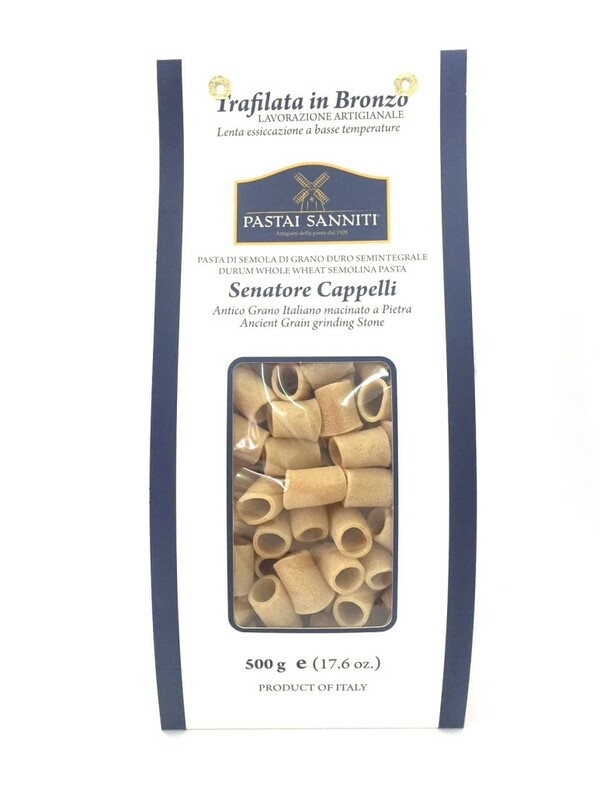 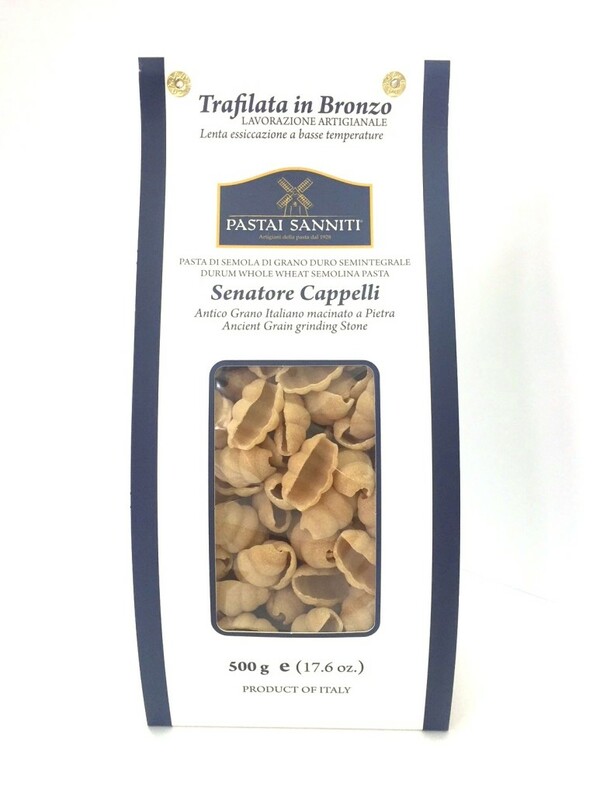 Senatore Cappelli is a grain like those of the past, it has a high ear, deep roots, personality, intense aromas and rich flavor. 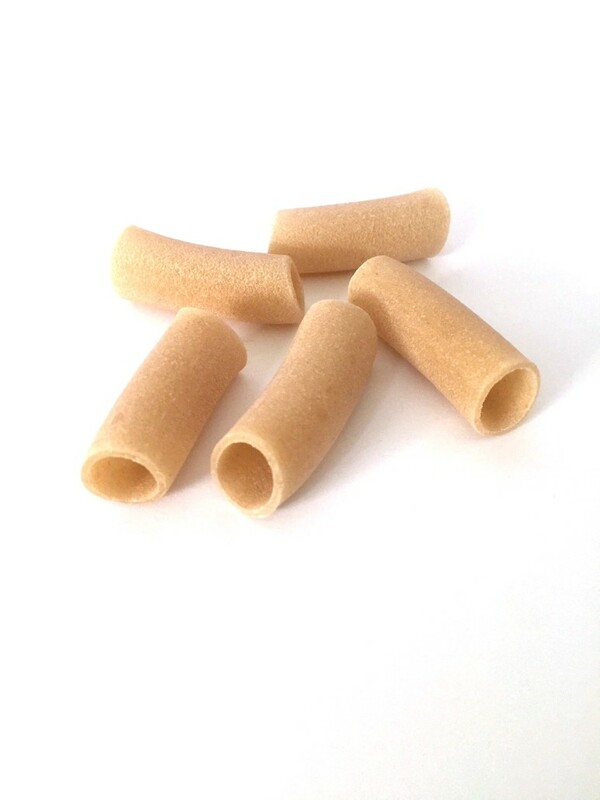 It is considered “elected race” of italian durum wheat and it contains higher percentages of lipids, amino acids, vitamins and minerals, as well as characteristics of high digestibility. 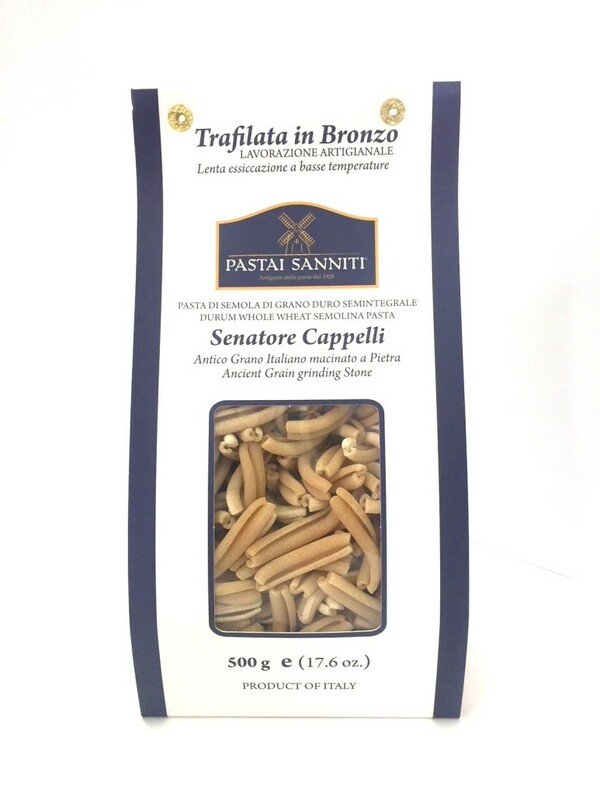 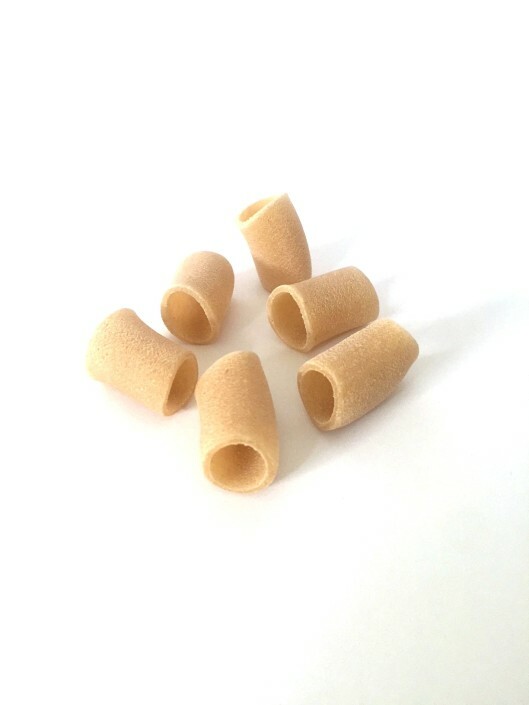 The grain Senatore Cappelli that we have selected is produced a few kilometers from our company, this short distance makes possible the denomination of a short line of our production. 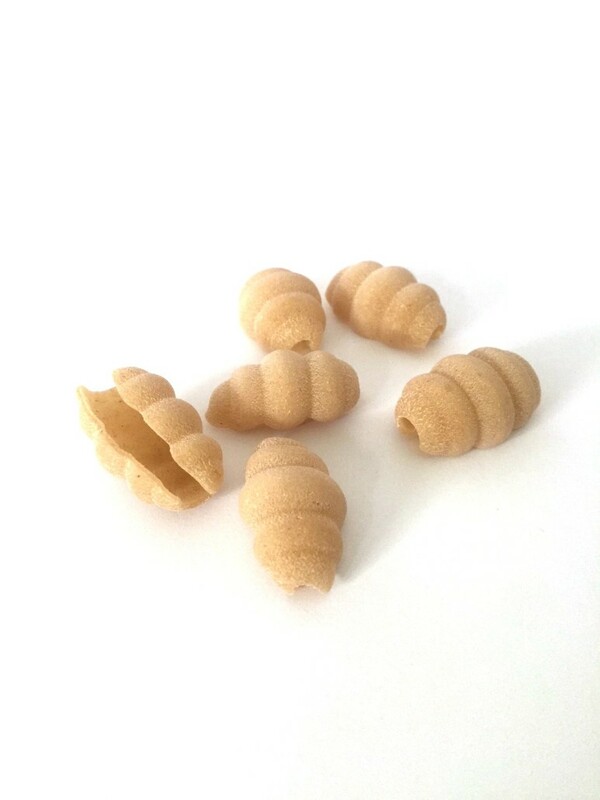 The whole wheat semolina obtained by grinding stone is delivered in our production site soon after grinding. 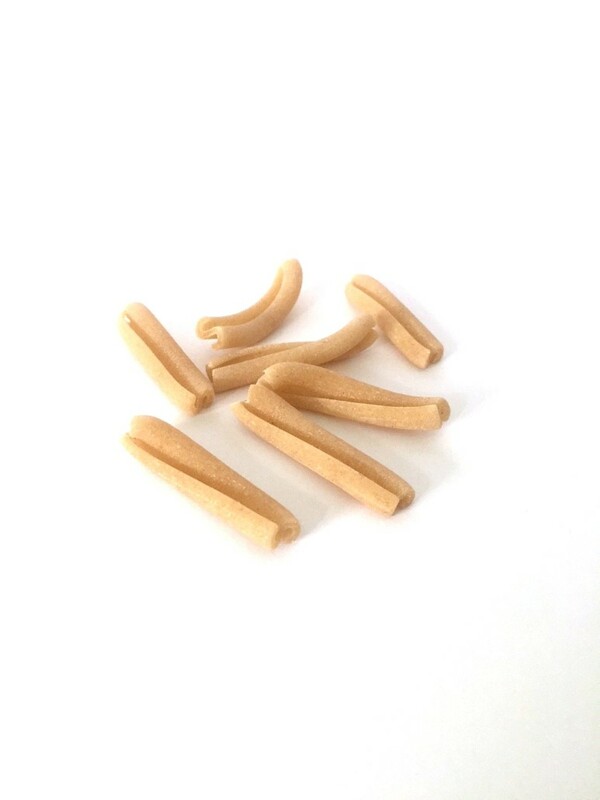 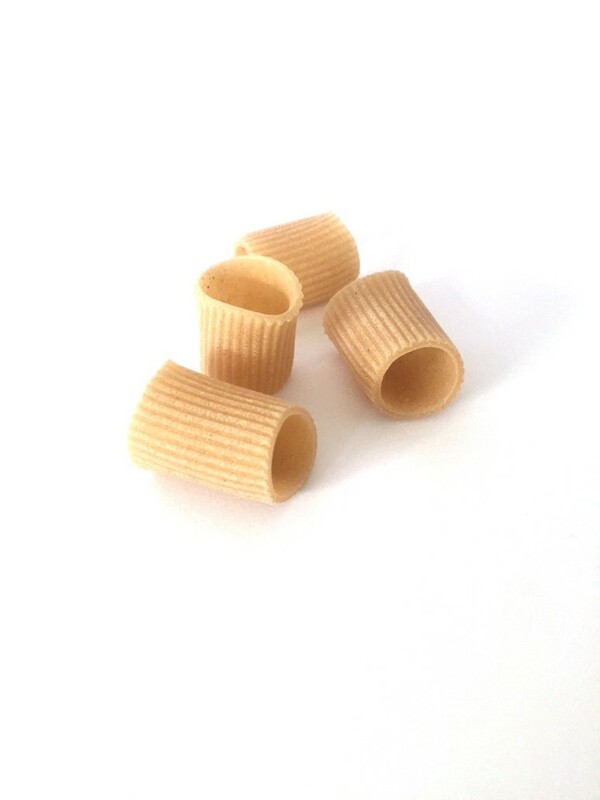 It is processed and dried slowly at lowtemperatures by us, just so we can give our pasta rich flavor and integrity in vitamins and minerals.